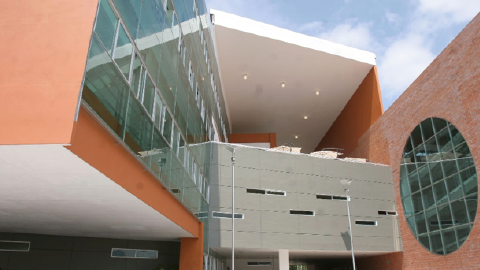 The headquarters of CALAS is housed in the University Center of Social Sciences and Humanities (CUCSH) of the University of Guadalajara (UdeG) – a public institution that provides quality educational services both within and outside the metropolitan area of ​​Guadalajara. Founded in 1791, the UdeG is the second oldest university in Mexico and one of the country’s most recognized and influential academic institutions.. .. The CALAS headquarters is located at the new CUCSH Belenes Campus in the municipality of Zapopan. It is connected to the University Cultural Center, the largest cultural space in the Metropolitan Area of Guadalajara. Once construction is completed, this space will host thousands of cultural and academic activities. It will also integrate commercial, housing, hotel and hospital areas. The area includes the Telmex Auditorium, the Plaza del Bicentenario, the Public Library of the State of Jalisco "Juan José Arreola," the Museum of Environmental Sciences and the Performing Arts Ensemble. Among its main activities of academic and international importance, the University of Guadalajara organizes the annual International Book Fair (FIL) in November, which is the most important book fair in the Spanish-speaking world, as well as the second largest book fair worldwide.